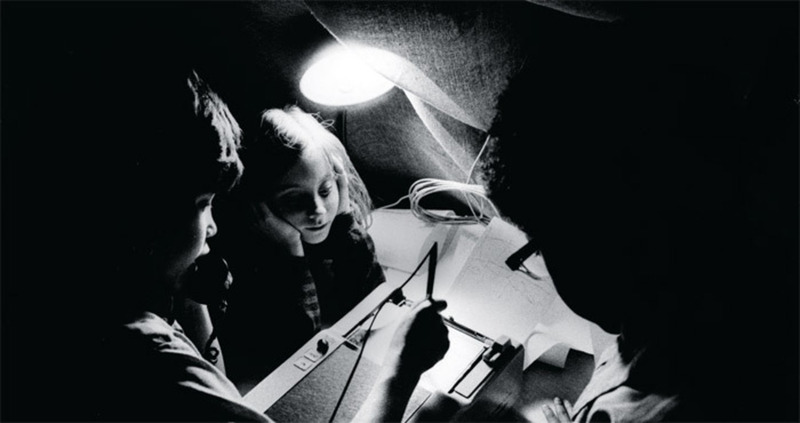 View of Experiments in Art and Technology’s Children and Communication, 1971, American Foundation on Automation and Employment, Automation House, New York. Photo: Shunk-Kender © Roy Lichtenstein Foundation. I’VE ALWAYS FELT that rather than learn how to, say, program a computer, it’s better to find a programmer and say, “Can you do this?” And sometimes if you find the right person, the answer is, “You know, we could do that”something you might not have asked for.